Instapaper: Safari’s new Read Later feature allows you to access Web pages that you have saved for later across multiple iOS devices. You know, like Instapaper. Readability: The new Reader mode in Apple’s Safari browser strips down online articles to images and a rolling column of text. Readability basically did the same thing. Boxcar: This nifty app lets people manage their notifications in a single place, instead of having them pop up on their iPhone’s screen willy-nilly. The new Notifications panel in iOS 5.0 centralizes notifications in the same way. To-do apps like Remember the Milk: Apple’s new Reminders feature can alert you to do something you’ve written down either based on time or location (pass by a grocery store you’ve marked in the app and you will be reminded to, um, remember the milk). Camera+, QuickPix: One of the complaints about the iPhone’s camera is that it can take a while to get to when you want to take a picture in a hurry. Some apps used their faster start-up time as a selling point. The upgrade to the iPhone’s software includes the ability to place a camera button on the lock screen, for quick access. Users can also use a volume button as a shutter release, something Apple denied an app, Camera+, in December 2010. Photo editing tools: While the popular filters of Hipstamatic and OldCamera do not seem to be in jeopardy, new features in the Photo app include cropping, red-eye reduction and one-touch auto-enhance, which may be enough for some picture takers. Dropbox and other cloud storage services: iCloud, Apple’s free solution for storing documents and photographs in the cloud, may eradicate the need for independent services that let users do the same thing. GroupMe and other messaging apps: iMessage will let Apple customers send messages to groups of friends — something that start-ups like GroupMe, Kik, TextPlus, FastSociety, Pinger and their ilk have been doing for months. Photoalbum+: It has been out since a year and now apple couldn’t resist getting it on their devices. 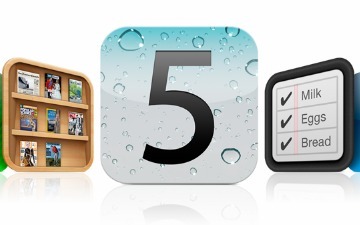 And now finally they have added it in iOS 5. Wifisync: Once it was rejected by apple for not being appropriate for it’s devices, then the developer went to the cydia store and now it’s back with apple but only difference being that apple is the developer and not the real developer who made it possible. Lockinfo: We have been using this app from more than a year now! It puts notifications on your lockscreen. Well now you get it officially from apple. MobileNotifier: Well now almost everyone knows that apple had hired the developer behind mobilenotifier and now it’s officially released in iOS 5! It’s still hard to find which others apps have been the source of “inspiration” for apple. Apple clearly values their developers. They are a source of innovation and development. The company was proud to announce during the keynote that it had paid out more than $2.5 billion to developers. But there is another message to developers too: If you are really good at what you do, you will be assimilated.